The Cleveland National Air Show is an annual air show held every Labor Day weekend at Cleveland’s Burke Lakefront Airport. 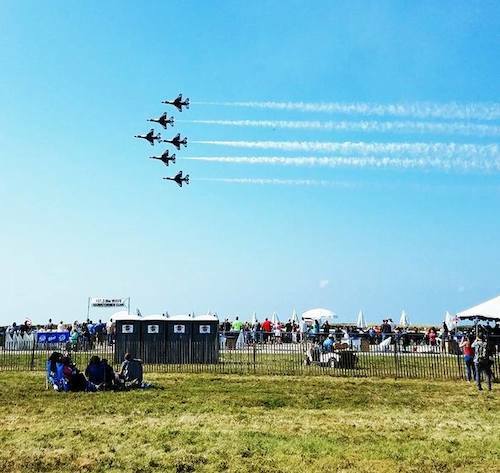 This event, featuring fighter jets, stunt planes and the US Navy Blue Angels or US Air Force Thunderbirds, brings thousands of fans up to the lakefront each year. Superior Portables supports the airshows with both standard and ADA handicap accessible facilities throughout the grounds. 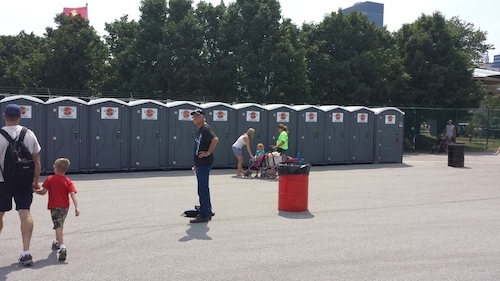 The Air Show places special emphasis on making sure people of all abilities can see the show, so it is important to them to have restrooms to meet every need. We drop off, then clean, pump and maintain the units for each of the three days of the show. After the show, we clean and pump units one last time and pick them up so organizers can stay focused on wrapping up this spectacular event. Take a look at our photos below, then contact us to request a quote.